it is fascinating to look at the stats and wonder how anyone finds this blog. makes me wonder where it shows up such that anyone can click on it. yes, i am a little naive/ignorant about this whole blog thing. it’s ok, have enough other stuff i need to learn more about! ^_^ so, i’ll just write and post some pictures and hope someone enjoys looking at them. 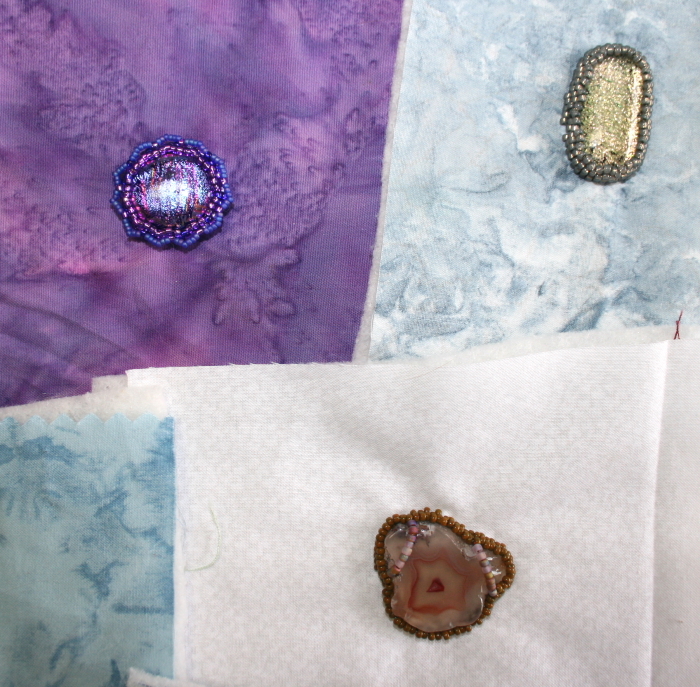 today i thought i’d show some of the other things i’m working on – the pins i began making a year or so ago. i sold most of what i had while at the shows up north, so time to make some more. was feeling a little apprehensive about it as it’s something i’ve mostly taught myself and was feeling like i would have to teach myself all over again. 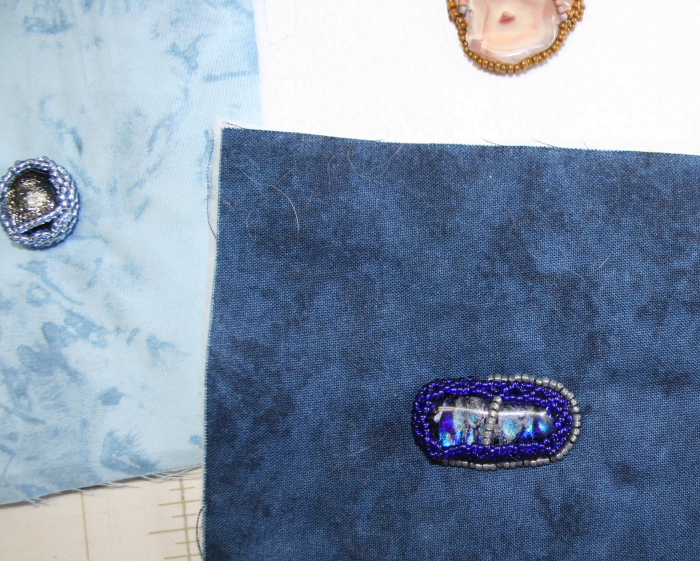 the other day i was putting away the beads i had purchased while at the show in auburn and in the process of ‘playing’ with beads – found the perfect accent beads to add to the pin i had started ages ago. found them in the ones i had purchased in wa at that show. that was a pretty healthy purchase, for me – so now feel ‘justified’ in having spent about $100! 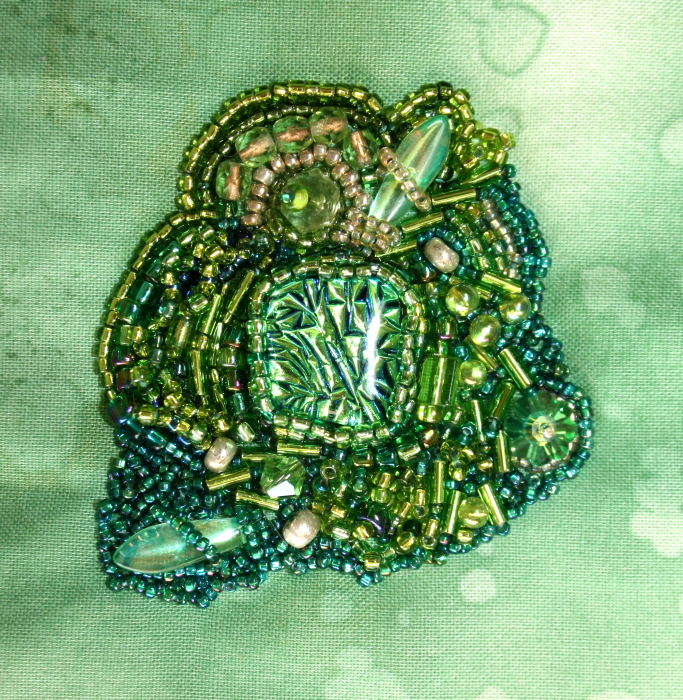 i set the beads on the pin and let it be for a couple of days. when i decided it was time to just ‘do it’ – i was able to complete that one with relative ease. yea! it has an unusual cab and it’s also a ‘weird’ color – unless you are a fan of limey/chartreuse green (as my sister is). yesterday i put collars around the cabs i had picked from those waiting to be transformed. i had also bought some of those from my friend harlin who was also a vendor at the auburn show. i think they were mostly ‘orphins’ for him, but they will work nicely for me. ^_^ so here is how a pin looks in the very first stage of creation. there are 5 – tried to get them all in one shot – couldn’t get flash to go off and then decided to split into two groups. the little blue one on the left has actually been waiting since when i began the green one! the one at the bottom is a natural, polished stone – one i brought with me from ohio. have a bunch of those! in fact – have another pin ‘done’ and waiting for a ‘pin’ – and maybe some fringe?? we shall see how that one ends up.